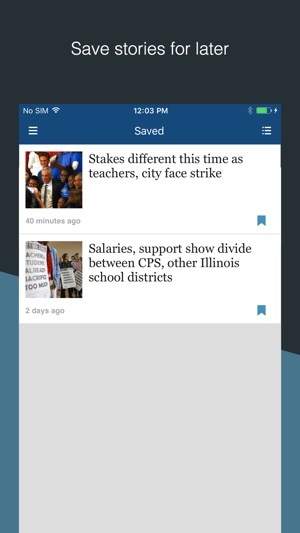 As someone who is been using the Chicago Tribune app for several years now (and the various versions of it over the years), I can honestly say it’s one of the worst apps ever when you consider what the user expects versus reality. 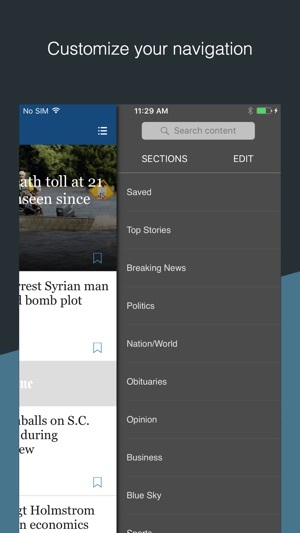 Their publications like it the Wall Street Journal and the New York Times have excellent apps that are user friendly and work well without bugs. Surely if the Tribune tries to market/position itself as a world class media outlet , then it should be held to the same standard as its peers - and it is failing horribly. For starters, don’t make me watch an ad before I get to the news stories. Sometimes I need to quickly check the headlines and sitting through an ad, even for a few seconds, is very annoying and unnecessary. Second make sure that the links to your stories work. If I click on a link I should be able to access the story without having it hang up and freeze and go nowhere. 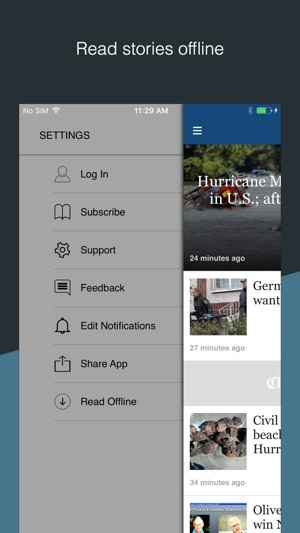 Lastly, make your app more user-friendly overall. This is 2018… Please update your app to reflect current times, not something that we would’ve seen 10 years ago. I have been a loyal subscriber and reader of the Trib for many years. I respect all the hard working journalists and editors that work so hard to cover and tell stories that are important, relevant and informative. 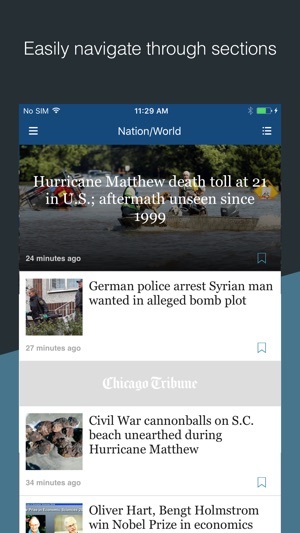 So it pains me to say that after using this app (in all its various incarnations) for several years, it remains the worst news app I use. It hangs almost every time I use it. Closing and reopening does nothing. The links in the stories often don’t work or then hang. This is not occasionally. This is virtually every time I use it. I know the Trib has struggled, along with much of the print and legacy media, with revenue, ownership and digital platform challenges. 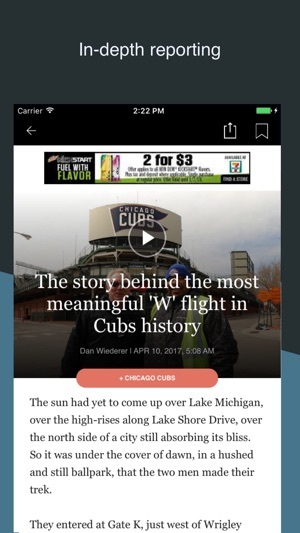 But I just refuse to believe that a company like the Chicago Tribune can’t put together a functional, working, easy to use app. Too many other examples of this exist. Come on, Trib. Get your digital act together and show your readers you care about them. I canceled it. The app kept asking to sign in after i signed in. Three weeks After paying for the second month it did not take my sign in any more. 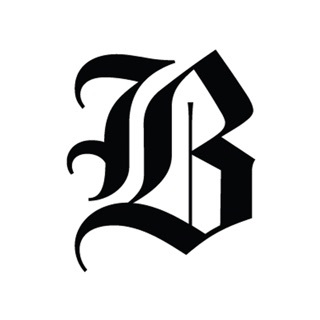 I called support and they said they could e Mail the paper to me. No I want the app to work. Good thing I saved my e mail confirmation so I could use the link to stop the i tunes card payments. They still Owe me fora week of papers. I had to figure out on my own how to make it work on my mac by creating a password within the app. Support could not help me with that or fix the problem. I like content of the Tribune. However, I am moving on. NO more newspapers for me. I miss the comics. We were paying 400 dollars per year for the Rockford IL newspaper. A friendof mine got a deal for 70 per year. Hence,I thought I would try Tribune digital. I think the newspaper business is goingthe way of the shopping mall. It is like living inDetroit. Time to move on.